Caby (now showing as “Basilio”) has always shown a desire for jumping, as well as the versatility to compete in all three rings. 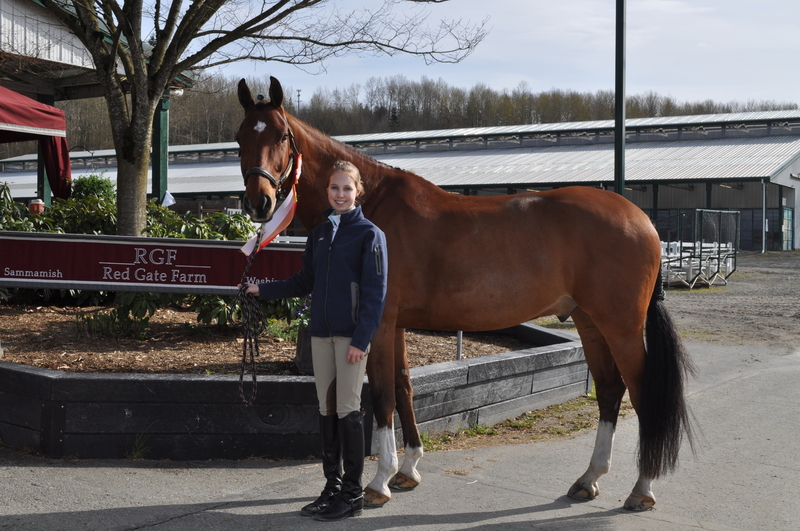 In addition to placing in all their Junior Hunter classes, Caby and Rachel had a stellar outing in the Equitation division, winning the Washington International Hunter Equitation Phase and placing 2nd in the Washington International Jumper Phase to finish 1st overall. They also placed 2nd in the ASPCA Horsemanship class, the Spring Inaugural Equitation Challenge, and their Equitation Over Fences class. “Overall, this was such an amazing show! I couldn’t have asked for Caby to be any better…he was literally perfect! He seemed so happy at the show, loving all the activity and attention. He wanted to say hi to everyone that passed by his stall,” said Rachel. We are so proud of these two in their continued learning, partnership, and success. Best of luck on the rest of your show season together, Rachel and Caby!